The flooding blighting much of the UK has dominated the news now for two weeks and shows little sign of abating for the next 7-10 days. Initially when the flooding was fairly isolated to the Somerset levels the reporting in newspapers and on television was led, and dominated by, science and environmental commentators who took pains to research their articles and base their conclusions on the best available evidence and advice. As the flooding story continued, and became more of a national political debate, the coverage has increasing become dumbed down to human interest stories and the excellent reporting from aforementioned science correspondents has been buried beneath coverage of train cancellations and people evacuating their homes. This has had the pervasive effect of needing to condense the scientific explanations of flooding into easily digested throw-away comments in reports. The hugely successful FLAG local campaign group in the Levels have been campaigning for a long time for increased dredging of the Rivers Tone & Parrett. The media love a human interest story and the combination of distraught people, large gatherings with placards and a simple explanation for flooding (which also happens to have a simple scapegoat) proved irresistible. The cumulative outcome of this is that the human interest stories on the Somerset Levels dominates the news, and the narrative that has emerged is one of a lack of dredging leading to flooding. The government, against advice of the Chartered Institute for Water & Environmental Management, leading hydrologists and flood scientists, has embraced the dredging narrative and committed to dredging the levels. There are two fundamental problems with the way this issue has played out in the media. Firstly it is highly doubtful dredging rivers in general, or the Tone & Parrett specifically, would have any appreciable effect on flood events of the magnitude we have witnessed recently. To use one of my trademark analogies, it’s a little like drinking two bottles of wine and suggesting the brandy chaser was the thing that made you drunk. It’s possible it might be the case, but it’s highly unlikely. Stretching the analogy (as is my wont) and speaking purely of my own alcohol tolerance, I could drink 1 or 2 glasses of wine, with or without a brandy and be coherent. If I drink 4 glasses of wine, I’ll likely be hammered either way. It is only in the very specific case of my consuming precisely 3 glasses of wine that drinking, or not drinking a brandy will have any difference whatsoever. That is the essential problem with dredging; increasing the river conveyance only has an effect for a very specific flood event which would just over-top the un-dredged river (and thus may not over-top in the presence of dredging). It’s a little more complex in managed systems like the Levels, but the magnitude of event is most relevant issue. This one was far, far too big. Secondly, and most importantly, this issue is completely irrelevant at the present time. The priorities in a natural disaster should be firstly to prevent or minimise loss of life, prevent or minimise damage to infrastructure and to ensure as quick a recovery as possible after the event. In this respect the relevant bodies are doing their best to deal with the life and property issue. We should already be talking about practical measures to help people clean up after the floods and to provide counselling and support to those affected. This is how the World Bank is helping Malawi deal with climate change and flooding. This should be the dominant narrative. Instead by focusing on who is to blame for a natural disaster we risk being ill prepared for the challenges when the waters recede. At this stage it is completely irrelevant who is to blame for flooding (and for the record I don’t believe anyone, or anything IS to blame). Apportioning blame serves no-one at the present time. In this respect the FLAG campaign on the Levels has been somewhat a victim of its own success. They have successfully steered the national debate on flooding towards drainage and dredging in an area where only 40 homes have been flooded (compare to 48000 homes and £3-6bn damage in 2007 floods). I say these figures only for comparison, not to belittle the huge suffering of those affected in both events. The problem is in 2007 the debate was on assistance, insurance payouts, flood funding and proper analysis of where future flood policy should go (culminating in the extensive Pitt Report). In short the problem was seen as a natural disaster and focus was on sorting out the aftermath and learning lessons (albeit with mixed success). In these floods by focusing on blame, the narrative seems simpler and has culminated in “dredge the rivers, stop the floods”. The government has seized on the scape goat with wild abandon, Eric Pickles recently savaging the EA on the Andrew Marr show and committing to dredging the Tone & Parrett and generally appearing to embrace a retrograde approach to risk management. So problem solved? Well, no. The rivers will be dredged, the Somerset Levels will still flood in a similar sized rainfall event, to broadly the same depth, extent and duration, and none of this helps people get their homes, livelihoods and lives back together in the coming months. We’ve been having the wrong debate. As I write the number of severe flood warnings (risk to life) are rising on the Thames, Worcester is beginning to flood and no-one can seriously think this is due a deficit of dredging on the Thames and Severn. In focusing over the past ten days on searching for scapegoats and apportioning blame in increasingly preposterous ways the government has been desperately trying to deflect attention from cuts to the EA, as if they are Nero blaming Christians for the Great Fire of Rome. Moreover the complete failure to grasp, or take the time to brush up on hydrology means they’ve been parroting ridiculous claims that flooding can be stopped. It can’t. We can mitigate it, can make sure we are prepared for it to lessen effects and speed recovery, we can even manipulate catchment hydrology to “move” or concentrate flooding in one place (farms/countryside) to lessen flooding elsewhere (towns). We cannot however lessen the rain. Meanwhile the maligned agency has been working tirelessly to mitigate the damage of the current floods. The government should focus on supporting the one body that can, and is, equipped to do something to lessen the impact of these floods. The government should also be thinking about how to support people in the eventual clean-up. They should not be wasting time worrying about who is to blame. If necessary that can come later with a proper enquiry and report. 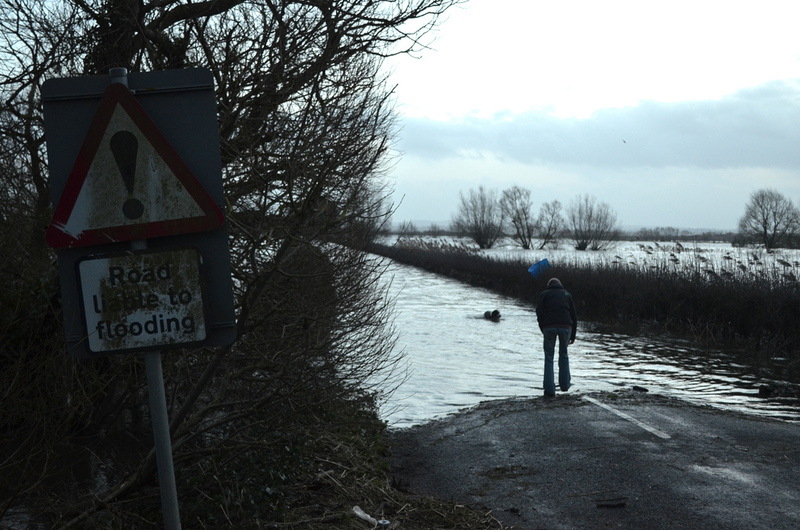 This entry was posted in Uncategorized and tagged flooding, Somerset Levels. Bookmark the permalink. Thanks for a comprehendible and balanced analysis of the situation. Well said. The lack of understanding politicians show about vastly important things (sadly, this isn’t the only one that springs to mind…) is astounding. My husband is one of many EA employees currently working relentlessly to forecast the flooding and, when it’s stopped raining, will be one of many analysing what happened and why (shortly before finding out if they’ll still have a job after this round of job cuts). This is how you learn what to do during a flood (Mr Pickles) not by jumping on a community group’s bandwagon. Thanks for the comment Rachel. Pass my best wishes on to your husband and I hope the media debates have not made it harder for him and his colleagues to do their valuable work on the ground. That is one of the more unfortunate side effects of this blame issue is that public trust in the EA is eroded at a time when they should be being supported to mitigate the flood effects. Well “technically” speaking dredging would be the answer if you dredged far enough…. Like 10 miles down or something. Andy, one snag I have spotted in your ;technical’ answer. Dredging to 10 miles deep would create a trench that is almost ten miles below sea level. Very true Mick. I have since found out Andy is a friend of mine who is being deliberately obtuse. Thanks for putting him right! This is the best thing I’ve yet read on this topic. Well done for blending compassionate understanding with honest clear thinking. I live on the levels and the problem is the source of water ingress not so much the dredging of the rhynes and rivers. Stop the rot at the source and you stop the flooding. Flood control dikes/gates and sufficient back up gates are the real issues that need to be solved. Many of these hand operated gates are broken, the mechanisms are rusted and cannot be used in emergency situations. If you drive across the levels you will find many previous flood control gates in disrepair and unusable. The EA has been more interested in protecting the water voles and meadow pipits here than looking after livelihood of the residents. Make no mistake politics in involved, the tree huggers have much to answer for with this problem. Thanks for the comment Jake; my thoughts are with all residents on the levels (and along the other rivers at risk of flooding) and my hopes are the flooding will not get any worse. I can’t of course comment on specific EA initiatives without knowing more about them, I did note however that in the past couple of days it has emerged that a large “bird sanctuary” wetland in Somerset (which had received some criticism as a waste of money) is in actual fact part of a (successful) flood management strategy which happens to also be of benefit to wildlife, so sometimes seemingly differing objectives coincide. Interesting how Jake equates tree huggers with water voles and meadow pipits? Perhaps its just a turn of phrase, but actually trees can really really help. There is a lot of good research being done and pragmatic responses to flooding that involve strategic use of trees in river catchments, be it hedge rows, shelter belts or woodlands. Trees with there roots deep into the ground act as conduits into the earth where the water can penetrate rather than run-off. Also in this vain on the surface they can physically make the land ‘rough’ and slow water encouraging it to again penetrate rather than run-off. Mike Townsend puts it far better than I can. Trees don’t need hugging, they just need planting in the right place with intelligence and collaboration between neighbouring landowners across our landscape. Granted it may not completely solve the ‘problem’ of such extreme rainfall leading to flooding, but I am in no doubt that it will help a great deal. It should also be noted, that pumping from the levels into the drains (Parret, Tone and Huntspill) is limited because the drains are at capacity. Serious dredging, creating 40% more escape capacity, means the pumping rate can be increased. While this does not prevent flooding in weather events of this type, it means draining is faster because the pumping rate can be increased. Grass and other crops die after ten weeks, so if increased escape rate means that the drainage time is shortened, then entire crops need not be lost, and the drains themselves wouldn’t burst their banks so soon – adding to the problem of sustained rain. The measures outlined by hydrologists at the EA pertain to flash flooding events, unlike now which has been a long and sustained rainy season – when the ground is already saturated, so much of the catchment plan solutions simply don’t relate to this problem. This is of course not aided by high tides and tidal back-flooding on the Parret, which should really have a sluice gate of its own now – and I’ll bet there is extreme silting on some of the upper locks. It’s looking like smaller locks in drain trenches have been badly neglected- and there is also a suggestion that the Huntspill sluice has often been closed at mid tide. Hopefully I should have the car back this week so I can go and verify this claim. What we are looking at here is an abnormal rain event that, while severe and unavoidable, the amount of damage done could have been easily mitigated – at the very least by keeping up with traditional dredging and ditch management which has not been done. So there is plenty blame to go around. Moreover, the excuses for not dredging relates to a false cost-benefit analysis by the EA. As you probably know by now, dredged silt is classed as industrial waste once removed from the bank, and thus the EU Waste Framework Directive dictates that it goes to landfill with a tax penalty of £600 a ton. So again the dead hand of the EU has a big part to play in this disaster. Not least because the EA is essentially a policy implementation branch of the EU and has snatched decision making (and funding) away from local drainage boards, effectively hobbling them. Behind every one of these disaster you find a chain of political decisions taken above the heads of the locals, without even consulting them, while charging them for the privilege. You say “and for the record I don’t believe anyone, or anything IS to blame” which is frankly moronic. You also say “they (the FLAG campaign) have successfully steered the national debate on flooding towards drainage and dredging in an area where only 40 homes have been flooded”. – as though flooded homes were the only concern here. Ecologists are keen to tell us that we must reduce food miles and take action for food security but in the same breath argue for managed retreat of prime arable land for the sake of wildlife! Where this blog becomes risible is here: “As I write the number of severe flood warnings (risk to life) are rising on the Thames, Worcester is beginning to flood and no-one can seriously think this is due a deficit of dredging on the Thames and Severn.” Nobody has seriously suggested that (unless you know different) but you have jumped in with both feet, with only a cursory level of understanding of what the Levels are, and how they work, and then have the gall to criticize the media for dumbing down the debate – as you recite tracts from the Janet and John book of Hydrology. Glad you enjoyed the post Pete. You make some interesting points but I think you’ve fundamentally missed my overarching point and constructed a veritable army of straw men. My “moronic” claim that no-one is to blame refers to the weather and that whilst we can tinker around the edges with catchment management and minimise or stop small and rainfall events from causing flooding, some rainfall events are so large and prolonged as to make flooding inevitable. If we accept a given flood event is inevitable then blaming someone or something for said event makes no sense. Your straw man in this case is taking my statement that no one is to blame for the *flooding* and applying that statement to mean there is no possibility anyone (or anything) is to blame for specific micro-issues. As you know the statement about 40 homes being flooded was as a contrast to the 48000 flooded in 2007 and was specifically related to the fact dredging dominated the lead news items on the national news, which was directly attributable to the successful FLAG campaign. You are quite right that homes are not everything, businesses are affected as well, such as farms. I may be wide of the mark, but your comments strike me as indicative of a political view which would encompass a small-state, decentralised powers and a free market; certainly your Facebook page would support such a conclusion. In that respect farms are small business with extremely modest workforces. Whilst farming provides food for the table, maintains a landscape many would argue is aesthetically desirable and farmers act as stewards to the land itself, these arguments strike me as fundamentally socialist. I am often baffled by the apparent political contradiction on the right that agriculture is a special kind of business deserving of state support in an worldview which encompasses a minimal state. Logic would dictate that the free market determines whether small businesses such as farms sink or swim (if you’ll forgive the pun). Thankfully as a leftie academic I am able to support the subsidising of agriculture and am open to the possibility of the installation and maintenance of flood defences where they can perhaps not be justified in pure economic terms without any contradiction. My support for farming and agricultural subsidies, grants and compensation notwithstanding I think with the advent of climate change it is perhaps helpful to consider how historic farming practises may be changed to reflect the challenges ahead. Perhaps rather than pastoral farming in a frequently water logged environment the growth of crops or crop strains that are more tolerant to water-logging may be more productive. These are the sort of hard questions that will need to be tackled as we look to adapt to climate change. With regards to the Severn and Thames you have missed the rhetorical argument entirely. Specifically it is illogical to suggest that dredging the Somerset Levels watercourses would have prevented flooding there, when it is increasingly evident flooding will be a widespread problem this winter. The obvious conclusion to blaming mismanagement by the EA for flooding on the Levels, is that with “proper” management the Levels would not have flooded, ergo a flood prone area near to sea-level would be one of the few dry places in the country? I find that difficult to believe. With regards to claims of dredging on the Thames, yes in fact, Andrew Davies chairman of Wraysbury parish council called for the Thames to be dredged, as have local residents in Surrey. Obviously this is just an opinion piece and a slight departure from the normal posts we write on this blog. As such I welcome other people’s opinions and counter arguments in the comments. I have merely tried to suggest how government should be helping people during the current crisis with my limited and extremely basic knowledge of the water cycle as a post-doctoral research fellow in fluvial sedimentologist and a flood modeller. I would of course never assume to know more about catchment hydrology than someone who happens to live nearby. 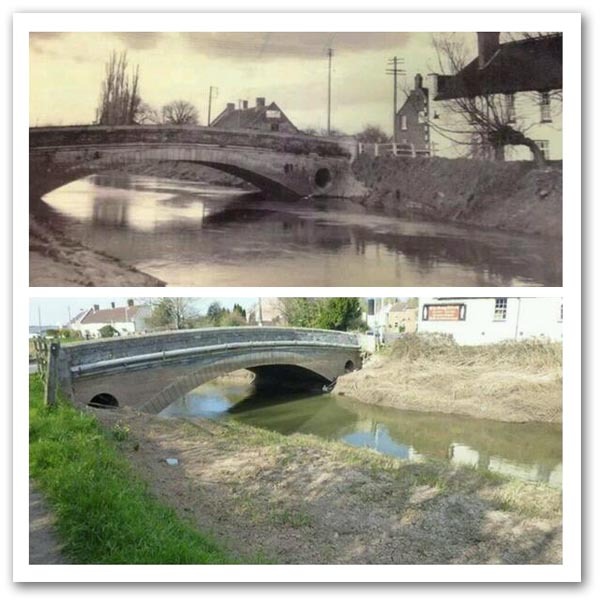 Flooding has always been a part and parcel of the Levels. We have had similar levels of rainfall before over the same duration, that have not in the past created this kind of chaos, because until recent times, the flooding was *managed* flooding. So, yeah, no one is to blame for flooding (if you wish to indulge in sophistry), but someone is definitely to blame for the disproportionate consequences of this flood, through ill-thought out policy and neglect, the costs of which are felt by the very people who have been charged a dredging levy by the EA, which has not spent the money on dredging! So there is a need to assign blame and to hold those responsible to account. The title of your piece states that the “scramble for blame serves no-one”. Well I think it does. It serves the public who pay their taxes for an agency to do a job, which is had demonstrably neglected. Accountability in that regard is a cornerstone of democracy. As to “I am often baffled by the apparent political contradiction on the right that agriculture is a special kind of business deserving of state support in an worldview which encompasses a minimal state.” The distinction is clear, in that food production is a national strategic asset. Maintaining arable land is vital to food security. The point being that the Levels rivers are drains. They were designed as such to allow water to escape. Logic dictates that if the drains lose capacity through silting then there is nowhere for the water to run off, and there is no point in pumping from the levels back into the drains if the drains are at capacity, since that will lead to them bursting their banks – again. The estimate being kicked around is that the drains have lost 40% of their capacity in the last 20 years through neglect (some suspect deliberately). If you lose that escape capacity, then what is a manageable, predictable problem, becomes a disaster – with a much longer recovery time. The arguments made against dredging is that it increases flow which causes flash flooding downstream, but that simply isn’t an issue on the Levels since Bridgewater is adequately defended and the river redirected. In the case of the levels, increasing the escape rate is exactly what is needed. The lower drains themselves act as a catchment lagoon at high tide and then the sluices release at low tide. Obviously, if there is reduced capacity then there is nowhere for water to go but back on the levels. Were you or anyone to make the argument against dredging upstream on the Severn I would probably not argue, but to suggest that dredging for drain capacity isn’t a hugely significant factor in the management of the Levels, and then to suggest that no-one is to blame for the disproportionate problems it has caused, is fatuous. Arguably, you could say the Levels need modernisation to adapt to “climate change” and if not for that, then because a great many of the key management systems haven’t been upgraded since Victorian times. A sluice on the Parrett probably wouldn’t amiss either. No. Again this is about proportionality. It would still have flooded, as it is designed to do periodically (which actually does a lot for fertility), but by neglect of regular maintenance the costs to business and the taxpayer will be magnified many times. Dredging the Thames there isn’t terribly sensible, but digging out the lakes for water storage would be beneficial. But this is where the mainstream opinion on hydrology is nearer the truth, in that upstream management is probably more effective. But to apply that kind of thinking to the Levels which is an entirely artificial agricultural system is bonkers. I don’t think you can Simon, they are so out of there depth as they only get the information from thousands of ologists and experts that they throw it all in the air and what ever lands on the desk is the final prognosis! Oh dear! Peter North really epitomises the problem – insulting somebody who obviously has a firm grasp of many of the key issues by referring to the use of the ‘Janet & John book of Hydrology’. Nor is it helpful to start throwing insults about preferring Water voles to the livelihood of residents. This article sought to provide a balanced and reflective view, and in my opinion it goes a long way to meeting that aspiration. Sadly, the issues are considerably more complicated than simple dredging and pumping. Cessation of dredging the Parrett and Tone may well (will) have led to silting in the main river, but this will also acted as a brake upon tidal propagation and the heights of the tides. So, it will have had a positive impact on the flooding situation at certain states of the tide. It may have been less helpful at other states of the tide. Where is the evidence – just look at the problems the Germans have on the Elbe and the Ems from depening their estuaries, and the French have on the Seine. Maybe also do some research and you will find that tidal propagation in the Thames was increased by dredging. Add to this, we are not talking about one-off dredging – it will have to be done regularly because the sediment comes from one of the most sediment-laden estuaries in the World. Let us not kid ourselves that one dredge solves the problem – it will have to be repeated on a regular basis regardless of whether there are major fluvial episodes. If the sediment is clean, then it does not have to go to landfill. Bearing in mind that dredging occurred until recent history, I rather doubt that contaminant levels will be such that the spoil has to go to landfill – but there is an awful lot of it and that does cost money to dispose – either on land or at sea. So, lets stop propagating eronious information and start looking at the issues according to sound science. If the accusations levelled in Peter and Jake’s comments are judged to be correct by a pannel of peers from relevant skilled specialists, then there are grounds for a change in direction. If they fail to secure agreement then maybe there is a need to ask how best to avoid the worst effects of this sort of episode at a cost-effective rate. OK say why are we not using swales and freshwater aquaculture to make lands that flood a source of income and much needed inexpensive protein? if the rain is the problem then it can be held higher in the landscape with a series of swales and ponds. blaming the rain is stupid frankly. continuous cover forestry will also help mitigate this problem. I have no Idea what Pete North is blowing hot air about, we have a local wetlands reserve that I used to volunteer for and one of my duties was to maintain and manage a scrape, so bear with me Pete, how a wetlands works is you need a constant source of water(A river, catchment, Drain) which feeds into a whole host of lagoons, if the water rises we have to leviate the lagoons so thay are constantly at the same level, if the water level is low we can only distrbute so much cubic feet to keep the lagoons (watered) as much as possible, our Mother drain is 6.2miles long which has 4 sluice gates that manages the flow and height of the drain. in our reserve we have a silt and mud catchment gate that measures the silt and mud build up in the drain and once a year we have a contracter that dredges the drain to keep the drain flowing through we have a pumping station that by computer knows exactly how much water to the nearest 0.05mm to release or to drain. Yes the Somerset levels will still flood as they are a flood plain but not to this scale if their were communication. hope that answers your debate Pete. and seen this pair of photographs. i’m not 100% convinced they’re of the same bridge, but what i’m interested to hear from simon is whether he thinks dredging over the years would have kept the river at that width and would that have mitigated the flooding this time. i am not an ologist, but it seems to me that if you make the capacity greater, the river can take more water, but that once that new capacity has been reached it will still overflow onto the flood plains. isn’t that why they’re called flood plains? also does anyone on this thread know anything about an EU landfill charge to dispose of silt? Thanks for the comment. With enough money it is possible to dredge quite effectively, so there is no doubt the river could have been kept at the same dimensions shown in the first photograph. The problem is that dredging really needs to be done every 2-3 years max and I think it’s that constant sink of money that is the real challenge. In fact it’s the case that the bigger you make the channel the more often its needs dredging. The reason for this is that in a wider, deeper channel the water moves slower; slower water has less energy to transport sediment, therefore it drops out of the flow and the channel accumulates silt until it reaches a natural balance. With regards to dredging and floods; you may not be an ologist but you’ve hit the nail on the head! Every river channel has a maximum capacity before it floods; dredging increases that capacity, in the case of the recent floods the capacity of dredged channels would still have been exceeded. Proponents of dredging argue it would reduce the duration of flooding, but this is contentious. Disposal of silt is a tricky issue – it has either come from agricultural land (top soil washed off), or in the case of the levels, as marine sediment washed up on the tide. Obviously it makes little sense to dig it out and put it in a place where it can be washed straight back into the river, so it needs to go somewhere. Animals pastured on the land defecate and the effluent is washed into the river, this can accumulate in silt and harbour nasty diseases such as coliforms. Furthermore, for crop growing numerous fertilisers, pesticides and herbicides can be washed into the river and also accumulate in sediments. Silt may not harbour anything bad, but it could contain some nasty stuff for human and animal health. There is no way of knowing what is in riverine sediments without testing them, so the EU specify that they be classified as potentially harmful and that they need to be landfilled, for which the charge is £600 /ton I believe. There are criteria for whether the silt is hazardous or not I believe and non-hazardous stuff doesn’t have to be landfilled, or incur a charge. I not sure how this is worked out. Either way dumping it on or near the floodplain would still be completely self-defeating! Many people argue that this is EU bureaucracy, but that pre-supposes if the EU didn’t exist the UK government wouldn’t be bothered about the stuff that can hang about in riverine sediments! Anyway that is the reason behind the sediment dumping rules, I make no comment on the validity of the reasons, but as with a lot of stuff around rivers and EU legislation, its easy to rubbish them at first glance but delving a bit deeper they perhaps don’t seem as crazy! Simon, I have no doubts you are well versed in the theory of your trade. What you are not well versed in is history, particularly with reference to the Levels. Nor are you especially well versed in matters of politics and law. By now you ought to be aware that the Huntspill is an artificial river, built in 1940. The King Sedgemoor’s Drain is also entirely man-made. Dredging is an essential part of ongoing maintenance and if you stop, you lose up to half of capacity. That means, without question, more frequent flooding. Advances in technology mean that dredging should be a faster, cheaper process than ever before (a digger can do in one day what would have taken a gang of 40 men). What makes it prohibitively expensive is the licensing system and the taxes. These laws were devised to deal with an entirely different problem, and because we lack national sovereignty, we lack the ability to tailor exemptions for specific regional problems. As to the silt itself, it had previously been used to raise the levels and spread on the land since it is very fertile material. You say “Proponents of dredging argue it would reduce the duration of flooding, but this is contentious.”. It is not contentious in the matter of the Levels. The artificial river system is an essential part of drainage. If water cannot escape, flooding lasts longer. As to rate of flow, as much as dredging governs capacity, it also governs gradient. Moreover, the lower parts of the Levels rivers are at sea level anyway, which makes it a simple matter of capacity. This is demonstrated by the large capacity of the lower Huntspill region which, unsurprisingly, is not flooded. What we are looking at is clear evidence of 20 years of total systemic neglect. You can debate til the cows swim home whether the Levels at optimum levels of maintenance would have withstood this particular kind of rain event, but that is somewhat academic now that half of the Levels are underwater. What should have been a manageable problem with maintenance and modernisation, is now a total disaster, and an expensive one too, that will take much, much longer to repair. Unfortunately, experts in your field are too often reluctant to wade into matters of law, politics and legal history, preferring only to pontificate on matters they have a grasp of, applying generic theory to regions with unique needs and circumstances. This is how we get bad policy, reinforced with the support of academic prestige. In the real world, your trade does not exist in isolation of law and politics, and unless you take account of such matters, and dare to wade in (scuse the pun), you will be just another second rate commentator, making the case that their small part of the jigsaw is the completed picture. That makes your opinion no more valid than a politician who knows nothing of hydrology of river management. If you want to be taken seriously, you will have to go the extra mile. Pete, good to see you are still keeping up to date with the blog. Everyone loves a conspiracy theory, I myself used to love the X-files as a child and I suspect back then I would have been enthralled by the idea of Manuel Barroso cackling inside a hollowed out volcano plotting the sinking of the UK. Anyway, to return to the substantive thrust of the post; ‘a scramble for blame serves no-one’, that is the priority while flooding is on-going should be to protect lives and property. Sadly it seems that the chance to score cheap political points and to push an existing political argument off the backs of other people’s misery is one that some cannot resist taking up. I think this is a real shame. More frequent flooding – this is a straw man, no one is talking about frequency of flooding this is about the impact of an exceptional flood event. Floods do not scale linearly so the impacts upon small events do not necessarily have any bearing on large events. Faster/cheaper dredging solutions – this is largely irrelevant, it doesn’t really matter that it is was more labour intensive, or took a machine longer to do in the past, it still costs a specific amount of money at the present time. You have completely ignored the substantive part of my explanation; silt in the river comes from soil washed off the floodplain and hillslopes, to dredge that out and put it back on the floodplain so it can be washed back into the river straight away makes no sense. It has to be put somewhere else and that is why it costs money, I feel I’ve already adequately explained why silt can indeed be a hazardous material in some cases so there is no need to rehash. Contentious – I think here I was too generous. It is a fault of scientists that when speaking to each other we speak in probabilities and tend to readily acknowledge the presence of counter-theories; when communicating to the public this can often mistakenly come across as uncertainty. By ‘contentious’ I mean that pretty much anyone who knows about hydrology is convinced through evidence it doesn’t have an significant effect, people who don’t know about hydrology think it does; this is a cause of contention. You are quite right that experts in my field are reluctant to wade into law, politics and legal history. For our sins we have more than a solid grasp of a particular scientific discipline and choose to try and communicate that knowledge to others. It is quite telling that you seem to think speaking only upon a subject of which you have a solid understanding of is a fundamental failing. I’m sure I could offer an ill-informed view on any number of subjects based on things I’d read on the internet, but for now I’ll stick to water. Thankfully scientists aren’t (all) politicians. The purpose of politicians is to gather evidence (including public opinion obviously) and to formulate policy based upon that, if said policy is on hydrology it is inexcusable for them to not understand it. However a scientist does not need to understand politics in order to communicate the scientific facts. These facts may be unpopular, may clash with the prevailing political climate and the implications of them (in terms of logical policy) may be entirely unpalatable. Thankfully as scientists we don’t have to worry about being popular like politicians, so we can communicate the facts and leave politicians to formulate policy based upon them, or not as the case may be. We don’t adulterate or change our findings to try and be popular. As for being a second rate commentator; I am a fluvial sedimentologist writing about river management, it is a subject so niche when we started the blog we dreamed of attaining the dizzy heights of being third-rate, so I thank you for the compliment. First off, this is nothing to do with “conspiracy”. This is to do with law and policy available to anyone with the wits to use Google. The same is also true of crops, and after three months of sustained rain where the ground is saturated, the run off rates are no different – and maize ploughing is not done in the winter in any case. The case Monbiot makes pertains to flash flooding, not a sustained rainfall event like this. 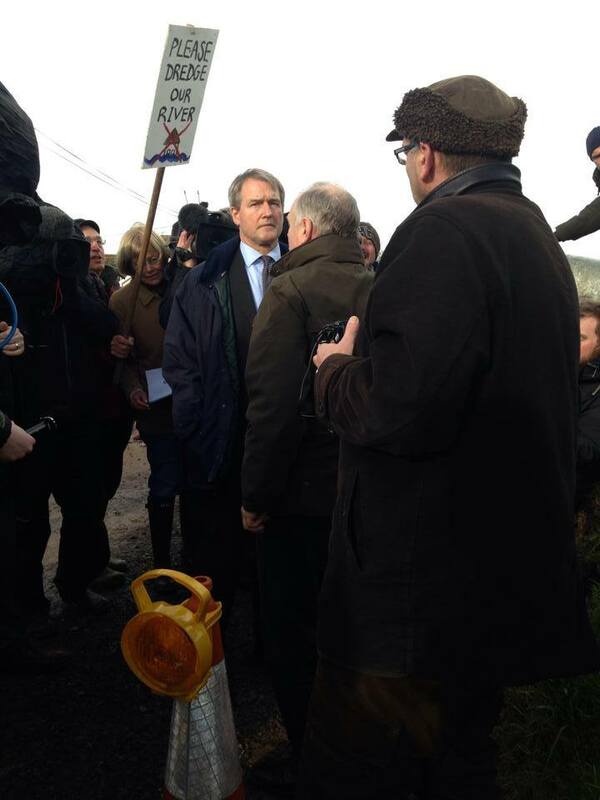 He speaks only to his own agenda against intensive agriculture. In any case, a man-made agricultural system such as the Levels needs constant maintenance. Dredging is not a one-off single event, it is part of a land management process that is ignored at peril. Today we reap the consequences of neglect. As to the cost of dredging, whatever it costs (with or without the taxes), is considerably less than whatever this recovery operation is going to cost. Moreover, the ecological fallout of a flood like this is going to be more costly to the environment than whatever that of depositing river silt as landfill. The Waste Framework Directive is the proverbial sledgehammer to miss the nut. You say “More frequent flooding – this is a straw man, no one is talking about frequency of flooding this is about the impact of an exceptional flood event. ” I am talking about both frequency AND impact. If the rate of escape is reduced, then the land is more prone to flooding in the next rainfall if that be sooner rather than later. I’m unsure why this simple premise escape you. My latter point was addressed to the premise of your article in that the “scramble for blame serves no-one.” What we are seeing is not just neglect, but entirely deliberate neglect as a part of a well documented policy (as per the links above), where decisions take very quietly by the unelected. That makes this issue 100% political – and there is plenty blame to go around. Preaching textbook theory takes no account of the geographical or political landscape of this issue – and your ignorance of it makes you just as ill-informed as every other commentator. The relevant “science” depends on intent. If your intent is managed retreat and to build wildlife habitats, then your contemporary preferred scientific narrative holds. If however, you prioritise food production on reclaimed land (the purpose for which it was drained in the first place), then you dredge – often. The debate over which methods to use is not a scientific debate. It is a political one. The methods you advocate speak the the defeatist, Malthusian agenda, which means either you have picked a side and you’re not being entirely honest, or you are simply a useful idiot, unaware that you’ve been manipulated. Pete, I must apologise if I’ve upset you. Regarding your latest reply this largely seems to be a cut-and-paste of a reply you posted on another post on this blog (‘how wood in rivers affects flood risk’). I answered your point there, so won’t rehash here. I’m also not really sure of the relevance of forests in this context about agricultural runoff. I read 693 scientific papers and reports for my PhD including the one you’ve linked to; the time taken doing this is probably one of the many reasons I could never hope to be as well informed on politics as you. I have tried numerous times to explain the hydrology of dredging and what it achieves (and what it doesn’t) and there are plenty of other recent examples from the likes of Prof Colin Thorne & Dr Hannah Cloke. For your own reasons you appear to think virtually every hydrology expert is either wrong or maliciously concocting falsehoods for unknown ends, which seems a little silly. I can’t speak for them, but as a scientist I don’t much care if dredging is done or not, that is a political issue. However I don’t wish to turn a blind eye to incorrect claims about its effectiveness on this blog, which is intended as a place sharing hydrological knowledge. If your point is that you are not interested in the opinions of experts and that the rivers should be dredged regardless then that is your prerogative. As a tax payer my personal opinion, based on my scientific knowledge, is that dredging would be a massive waste of my taxes and not only that, it would give floodplain residents false security. I welcome any contribution that furthers the debate (particularly how on earth dredging is related to Malthusian theories of overpopulation – perhaps you think there is secret cabal trying to flood agricultural land to induce famine); but I must reluctantly advise that I’m not going to approve any further comments that merely rehash the points you’ve already made. I feel you’ve made your position clear and I’ve given you amply ‘right of reply’ but little is served by you posting very similar arguments in reply to everyone else’s comments. What an excellent and rational blog. MPs should be ordered to read it and then take exams to prove understanding before being allowed to comment on anything flood related. I fully understand the anger and frustration that comes through in Pete North’s comments, as I have personal experience of flooding from living in Pickering N Yorks. However, he needs to realise that this is a rational science based blog, where sound evidence is important. Quote ‘We have had similar levels of rainfall before over the same duration, that have not in the past created this kind of chaos’ sounds rather more emotive than based on rainfall data. I’d certainly be interested to see comparisons of rainfall data to flood depth for this and other events of recent years. There are plenty of other outlets available for uninformed comment about dredging and blame, none of which solve our current problems. Bickering and griping may be a normal human trait, but are invariably just wasted effort, or worse, produce knee jerk reactions. I’m well aware that river maintenance (dredging, vegetation and weed cutting) has been very poor for decades and can have a significant effect on low level flooding frequency and land drainage. Those in charge from govt to EA have no doubt had their own reasons; some economic (short sighted and dubious economy?) and some political. Although recent flood events appear way too big for lack of dredging to have been relevant, there is no doubt that rationally targeted river maintenance is essential to prevent more frequent lower order events, particularly in smaller rivers where excessive sediment and vegetation have a proportionately greater effect. In the same way, flood bank maintenance is essential. However, this work is very much tied to the pot of available money and relative priorities – particularly that of protecting ‘properties and businesses’. These points are obviously ripe for debate AFTER the crisis is over. Something that is rarely mentioned and which Pete North would do well to address is sediment supply. Other than the unavoidable silt on the tidal parts of drains, the stuff that needs dredging out comes from somewhere – big style. Stop it getting into the rivers and they don’t need dredging. Farmers and landowners need to put their own practices under the spotlight. How much liaison is there between agencies/councils/community/farmers/etc in the levels area? In Ryedale, we have a Land Drainage Liaison Group organised by the district council that meets quarterly, with any representative body entitled to attend. It’s an excellent forum for debate (usually dredging!! ), liaison and sharing information. Effective communication takes time and therefore money, but it’s essential. I’m no expert and have no qualifications, other than spending a vast amount of time for the past 7 years as a community rep on the Slowing the Flow in Pickering scheme. I’ve learnt enough though to believe there is a major place countrywide for Natural Flood Management (NFM) ie. Woody debris, riparian planting, moorland restoration etc. However, policy people must realise that it isn’t a cheap solution to be shoved in just anywhere. Such measures need to be expertly modelled and carefully assessed to ensure they are constructed in the right places (probably limited scope on Somt levels) and don’t actually increase flood risk. Also, where will the money come from now Local Authorities have been squeezed dry? Central govt are once more cutting EA funding – and rural areas will not qualify anyway due to current cost/benefit analysis. Most NFM schemes are still in their infancy and are yet to be fully analysed and assessed. Thanks for the comment Mike. The Pickering project is a great lesson of how academics, environmental professionals and local people/stakeholders can work together to keep everyone informed at every stage of project planning. I think there is a lot other regions can take from it. Although I think personally, certainly in the early stages, it perhaps sought a little TOO much for consensus and thus some things perhaps didn’t happen, or got delayed in debates. Things may well have changed in the last few years, I haven’t read too much on it since ~2011 I think. I’m not sure its a model to be copied wholesale to other places, but I’m positive that involving and engaging people right from the start is the way forward, not least because people in the Pickering catchment now understand so much more about their own flood risk. Your point about sediment supply is an excellent one and in a comment piece in the Guardian yesterday George Monbiot looked at land use changes to crops like maize and the way these were grown with the resultant increases in sediment washed into river (I sometimes wish George would stick to excellently researched pieces and leave the politics out of it, but anyway..). The levels (as I mentioned above) have an added complication that on the non-tidal-barrier-equipt channels esturine sediment can be washed up the channels on the tide, but broadly speaking the “muck” in the rivers has come from farmland. Whether or not dredging takes place I think a comprehesive look at land management with a view to minimising sediment inputs runoff has to be a done as well, otherwise the taxpayer is throwing money down a hole. With regards to the lack of weed cutting and dredging on some rivers, I have suspected for some time that this is a quite deliberate plan on the part of the EA to hold water in headwaters and/or farmland to protect towns. However the official line of the EA is to talk of funding, biodiversity, etc. I don’t think that in every case that is the whole of the story and I wonder (if I am correct) if the EA and the government wouldn’t have been better to be upfront about this. That’s demonstrates my point. You may have a command of Hydrology, but not of Agriculture, and nor does Monbiot. Monbiot merely has an anti-corporate, anti intensive agriculture agenda, and will push whatever plausible sounding pseudo-science that speaks to that agenda. When you say you wish he would leave the politics out of it, you fail to recognise that above all, Monbiot is a political activist – not a journalist. If you gave Monbiot supreme command of everything, he would put limpet mines on ever pumping station and knock down the sea walls, and then break up all the corporate farms and restore natural habitats and have us all grubbing around our own allotments for food. That is at the heart of his agenda. However this is unrealistic and incompatible with human expansion – and our basic need to eat. On the one hand we have ecologists like Monbiot advocating this kind of land management which reduces overall crop yields, while also preaching that we must grow locally and reduce food miles to save the planet and to address matters of food security. These ideals contradict each other. Monbiot is essentially a Malthusian who believes mankind needs to reduce its footprint on nature as though we were abstract to nature. We are not. We shape our environment according to our needs – and our most basic of needs is the need to eat and shelter from the elements. In the case of the Somerset Levels, they are a real achievement in that man in his infinite capability and imagination has managed to reclaim land from the sea to produce food. But that system (notice the word SYSTEM) cannot function without being maintained. For that it needs clear drains, ditches and rivers (two of which are man-made). For the EU to then declare these ditches as habitats for wildlife makes no more sense than declaring the sewer connected to your lavatory a habitat for rats. So what we have is a political dispute as to whether the levels are primarily habitats or agriculture – and an Environment Agency acting as a push-me-pull-you enacting mutually defeating strategies in the same region. Until the political dispute is resolved, we cannot resolve the techniques we employ. You speaking against dredging is speaking to the Monbiot eco-zealot agenda, seemingly unwittingly. That is why you have to familiarise yourself with the politics and the law of the matter, and that is why “scientists” are merely chess pieces on a board in a much bigger game. Pete, essentially you are now arguing with yourself, or at least you are arguing against fictitious positions which no-one on here has taken. Entertaining as that is its not really advancing the discussion. I think its pretty clear from my previous comment that I think George Monbiot uses perfectly valid scientific findings and information to advance a political viewpoint I don’t necessarily agree with (as a political commentator is entitled, and paid, to do). So to launch a diatribe against Monbiot is nonsense in this context. As for an understanding of agriculture I’m not sure how that is relevant. Silt comes from soil washed off farmland (see previous caveats). You seem to be arguing that this is not the case because you support the current agricultural policy in the UK which leads to soil runoff. It’s perfectly fine to argue that there is no alternative but to farm in ways that promote runoff and siltation of rivers, which subsequently need to be dredged frequently. That is a political choice. However, unfortunately its not possible to make inconvenient scientific facts go away just because you disagree with them. We could have a really interesting debate on whether the findings of science are essentially non-political or not, i.e. whether data itself, or a graph can be imbued with a political ideology. But this is not the place. For my own part I speak against dredging purely in the context of these floods where it would not have made any difference. I say that as a hydrologist and a “scientist”, I am not able to change the facts based on my own political views. I would be saying it wouldn’t work whether it was advocated by the Daily Mail, The Socialist Worker or the Beano. That is the essence of being a scientist. Politicians run the country, hopefully, once in a while, they take advice from scientists on various issues, so of course that makes us merely chess pieces. The vast majority of scientists are ecstatic if they even make it onto the board. As mentioned above I must reluctantly advise that I’m not going to approve any further comments that merely rehash the points you’ve already made. I feel you’ve made your position clear and I’ve given you amply ‘right of reply’ but little is served by you posting very similar arguments in reply to everyone else’s comments. As a latecomer to this party, I have had a lot of catching up on “facts” to do in the last few days. It seems to me that the question of best practice for water level control in area in & around the Levels is more than complex. There are many aspects to consider, some of which will not even exist on some parties radar. Nonetheless, such aspects should be considered & an informed position adopted. Some historic information is publicly available on drainage strategies from the Lower Brue and Upper Brue Drainage Boards as well as the EA on other subjects (such as conservation). One thing that stands out is the area around the Huntspill, which seems not to have experienced anything like the catastrophic flooding to the south & to a lesser extent, the north. There may be some sunlight on the horizon though. With all the publicity & posturing of the past few weeks, with any luck, all agencies will a degree of responsibility in this will be held to account for their policies & action. As an engineer (in a somewhat related field), I for one although not local to the area or directly affected by its flooding, am very interested to see how the current strategy(s) fell down & what will be done to fix the problem. In the meantime, hoping for relief in the conditions for those struggling & a holding of nerve to prevent confrontation is all I can do. Thanks for the comment. I do hope you are right and that policy will be driven by studying the events and the policies in place beforehand. Huntspill is indeed an interesting case, whilst there may well be management lessons to learn from this particular area I don’t completely rule out the possibility of spatially irregular rainfall, that is to say whilst there is very good chance there are management reasons behind it, we need to be careful not to rule out other possibilities until we can be sure. I was just watching a youtube vid https://www.youtube.com/watch?v=laBH6lBEbjM showing the Parrett being dredged, with the sediment deposited within the flood banks. Unless this was a temporary measure, with sediment ‘double handled’ later, what exactly is the point of ‘re-profiling’ the river when its capacity within the flood walls is the same? Dredging is obviously being done, but are the other important aspects of river maintenance being done too – aquatic weed, bankside vegetation and hardware (flap valves, sluices etc) – or wasn’t that part of the ‘politicians’ solution? Has good baseline data (rainfall, river flows and flood levels etc) been taken to analyse the effectiveness of dredging and the money spent on it? Are plans for tidal barrier(s) moving forward to reduce incoming estuary sediment, or didn’t the ‘money no object’ comment apply to anything but dredging?